Fully revised and updated, this is the ultimate guide to the New Zealand seashore. The essential guide to New Zealand's inter-tidal wilderness - for every bach, glovebox and home library. New Zealand has over 14,000 kilometres of coastline, the 10th longest length of coast in the world. From sheltered sandy beaches, rugged cliff-lined fiords, the geography of New Zealand's coastline is as diverse as it is spectacular. 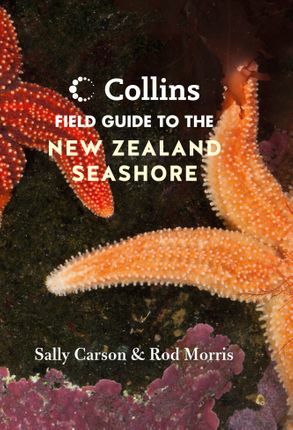 Sally Carson is the Director for the New Zealand Marine Studies Centre at the University of Otago and an expert in identification guides for the plants and animals found on New Zealand's seashore. Rod Morris is a former zoo-keeper and conservation officer, documentary-maker, author and photographer, contributing to some 30 books over the course of his career.